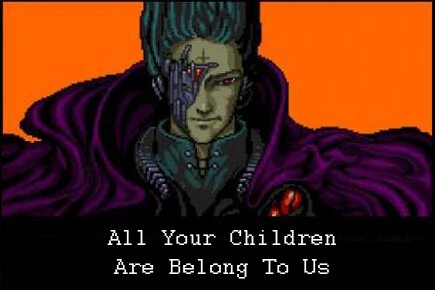 One of the fevered dreams of Leviathan is to assume parental control of children in lieu of the parents, who are only to be tolerated to the point that the state’s de facto totalitarian control is not yet absolute. In Scotland, for example, children now have a “super-guardian” that supercedes parents. Even in the United States of America, some feel that the government is being generous by considering the inclusion of parents at all when it comes to children. “Gov. Kate Brown has established her budget proposals for the coming two-year period, 2019-21, and they include a focus on behavioral health (addictions and mental health), investing in the health of children and Oregon’s Coordinated Care Organizations; a uniquely Oregon approach to blending a wide array of health services under one umbrella. This in effect suspects all parents of being guilty of child abuse until proven innocent (if then). “Government agents monitoring the homes of law-abiding parents who have not been accused of a crime without a warrant is an unconscionable violation not only of parental rights and individual liberty but also a trampling of the Fourth Amendment and the Due Process Clause of the Constitution. Inch by inch, the Leviathan loving Left lurches towards becoming a literal nanny state. This entry was posted in Healthcare, Progressives and tagged Democrats, Leviathan, New Feudalism. Bookmark the permalink.